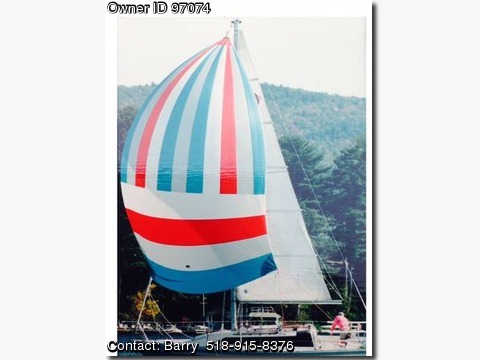 Please contact the owner directly @ 518-915-8376 or bhkinderhook@gmail.com…Set sail in this immaculate 1987 O&#39;Day Sailboat offered for sale by the original owner for $23.900. Great for both cruising and racing, this vessel has only seen freshwater use on beautiful Lake George in upstate NY. It comfortably sleeps two couples or a family of six. Lovingly maintained and priced to sell, this classic sailboat is one you&#39;ll treasure for years to come. SPECS: 10&#39; beam by 30&#39; length; 3&#39;11&quot; draft; 18 Hp Yanmar diesel with wheel; depth, knot, wind plus VHF &amp; stereo; lazy jacks on fully battened mainsail; 150 genoa on roller furling; cruising spinnaker; 2 speed self-tailing winches; hot/cold pressurized water -30 gallons; propane stove; full head and shower; sleeps six.